When a stapler falls in an office, does it make a sound if no one is around to hear it? HTC's employee turnover nightmare continues as its COO, Matthew Costello, steps down after less than three years in the post. In an email to employees, seen by Bloomberg news, Costello is said to be stepping down and moving to Europe. He will stay on, however, as an "executive adviser", although it's not exactly clear what that role entails. Fred Liu, who is president of engineering and operations, will be taking on Costello's responsibilities in an expanded role covering operations, quality, sales operations and services. Hopefully he'll stick around too. This will come as a blow to HTC, especially after they posted a much healthier financial forecast today - thanks in part to sales of the HTC One. But, despite a positive sales report for May, the reality is that HTC suffered a 98 per cent drop in net income in the last quarter. 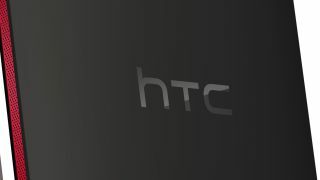 And, because of increased competition and poor sales results, HTC's shares dropped 76 per cent in the last two years. This may go some way to explain why HTC has failed to hold on to some of its key staff, who may feel that the ship is sinking. In recent months a number of high-level executives have left HTC, including; Lennard Hoornik, CEO of HTC Asia, Jason Gordon, Vice President of Global Communications, Chief Product Officer Kouji Kodera, Rebecca Rowland, Global Retail Marketing Manager, John Starkweather, Director of Digital Marketing and Eric Lin, Product Strategy Manager. Is this the beginning of the end for HTC, or is the out-flux of old staff going to breathe new life into the Taiwanese firm? We'll have to wait and see.